The moment your new hire walks through the door can be intense for all members of your workplace. This is especially true in the world of a startup, where passion and hard work will keep the company afloat among a competitive and fast-paced market. The individual wouldn’t have been hired if their qualifications didn’t fit, but how do their personality or values align? This is where your onboarding process comes in to save the day. In a small organization, it’s hard to want to set aside valuable time for onboarding, but acclimating the new hire to the work environment is as important for you as it is for them in discovering if they will be a benefit to your team or a detriment. It’s often assumed new employees have an understanding of the company’s culture and values when they are hired, but that is not always true. In some cases, new hires may not even know the company’s mission statement. Company culture and values are important to everyday employee work and should be emphasized and tied back to why the employee was hired to ensure their success and productivity. Hopefully, the mission and values are something your organization’s people already know. Impart the startup’s culture and values. Every startup culture is different. While a new employee may have gotten glimpses of the culture through recruiting and marketing materials and through meeting team members during interviews, the onboarding process is a great opportunity to ensure that a new hire learns about the values that the team shares…A prerequisite to doing this effectively during onboarding is, of course, actually having a shared understanding internally of what defines the startup’s culture, mission, and values. A successful onboarding program has many goals, but getting your new employee involved in your company’s culture as soon as possible is one of the largest. Relationships take time to build, but are so important to the happiness and productivity of a working team. Consider the impact it could have on your culture, if new employees start work without a solid grounding in what your organization’s culture is and what their expected role is when it comes to them contributing positively to your culture. Think of how often a team can get derailed by just one new addition who doesn’t understand the norms and values that support the foundation of that team’s success! Don’t allow your new employee to wander aimlessly in a sea of inside jokes or terms; inform them from the beginning. Let them know Carol is the employee who knows the best Thai restaurants with delivery, (in fact Carol is fluent in 5 languages and usually orders for everyone). Jim dresses up every Friday because he has a grunge metal gig for his band, “Grunge Dads,” immediately after work on Friday’s and sometimes the team dresses in grunge garb (just to throw him off every now and then.) Letting your new employee in on these traditions can give them a chance to participate and can further grow company culture during onboarding. Attitude is everything. Attitude can make or break your workplace flow and determine if your new talent will want to stay or leave. If the majority of your office is positive, then the majority of your workplace is happy. Not only has happiness been found to make employees around 12% more productive, it will help retain employees. Happy doesn’t mean that every day is sunshine and unicorns, but it does mean you have a workforce that can keep a positive attitude throughout tough times, even in the event of a bad hire. Onboarding is a great time to woo your new hire but it’s also the perfect time to find out if they are a good fit. The onboarding process allows the ability to discover how they interact with your team and if their personalities and values fit. If you don’t hire someone that fits into the company culture, it can cost your company anywhere from 30-150% of the person’s annual salary. Not keeping your company culture in mind while hiring could cost you big bucks and productivity. Yes, it’s important to look for highly intelligent, sharp-witted individuals, but is it not equally as important to look for positive uplifting employees that keep up company morale and are a benefit to company culture? Beware of the applicants who speak poorly of their last company and find ways to tailor interview questions for self-reflection. I have found that people with a great attitude fly above the noise and refuse to be distracted by the pull of negative chatter. In many cases, their desire and focus to keep moving the bar can be contagious. Dreams come true when your new hire fits well with your team and becomes a team player fast. It doesn’t stop after the first day or first week, though. It takes continued effort to build your company’s culture and make each employee feel valued. 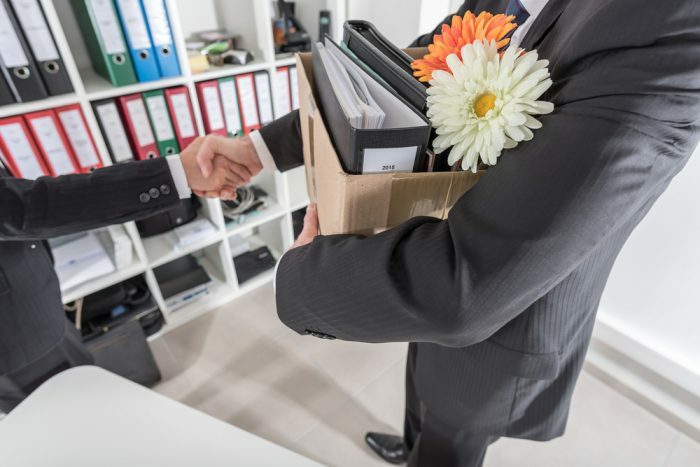 You’re making a first impression at the beginning of the employment as is your new hire, so be sure you provide a great onboarding experience. Christine Marino is the Chief Revenue Officer of Click Boarding, LLC, a company that offers employee onboarding software and solutions. She is responsible for the sales, marketing and business development strategies. Leveraging her 18 plus years of experience in the Human Capital Management space, Christine drives company growth through strategic partner relationships as well new customer acquisitions across the small to large enterprise markets.